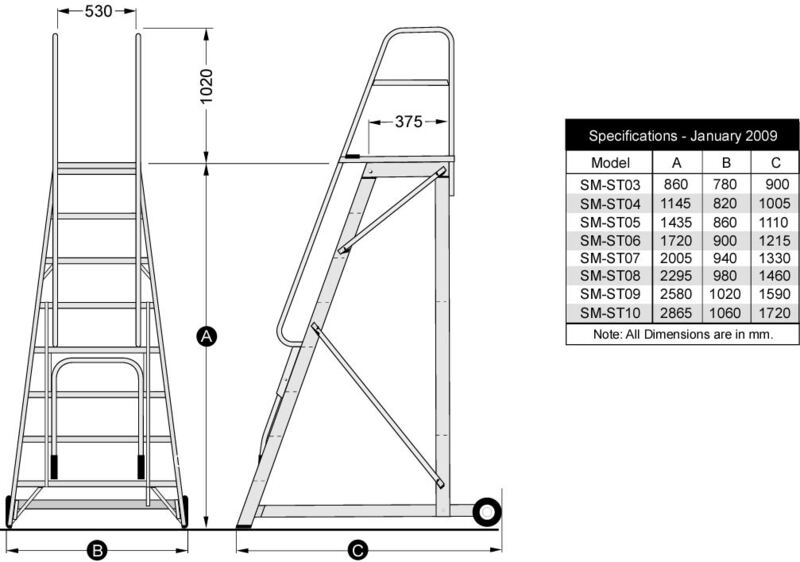 Mobile Steps for Indoor and Outdoor Use. 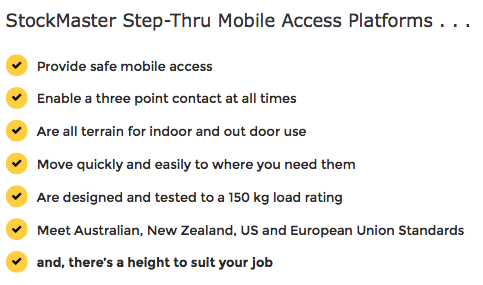 ​StockMaster Step-Thruprovides safe mobile access to load containers and transport vehicles. 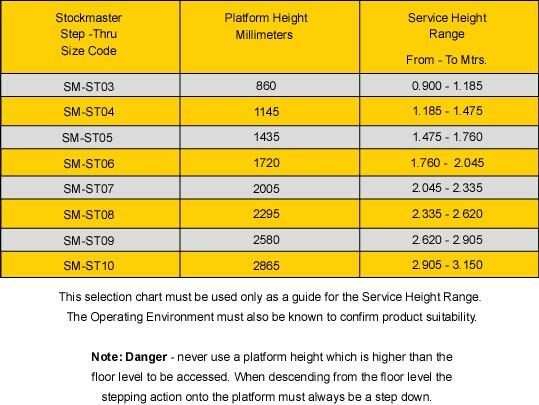 It also provides flexible access to loading docks and mezzanine floors. Moving easily over sealed or unsealed surfaces and slopes it is suitable for both indoor and out door use.